One of the reasons I often report on the NZ earthquake efforts is that they provide a useful frame of reference for U.S. and other recovery planners. It reminds us of what enormous efforts are needed to manage tens of thousands of housing units and other structures after a major earthquake. See this article in the Sidney (Australia) Morning Herald, Sept. 5. NZ quake plan will save 10,000 homes. 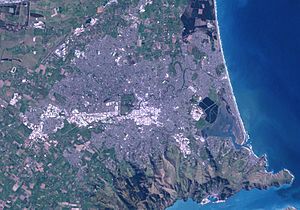 Almost 10,000 earthquake-hit Christchurch homes have been saved from demolition in a draft recovery plan for the southern New Zealand city. The long term strategy, which was released on Monday following a four-hour cabinet meeting in Christchurch, covers all aspects of the city’s $NZ25 billion ($A20.07 billion) rebuild. Its release marks the anniversary of the first of a series of earthquakes that devastated parts of the city, beginning on September 4 last year. Another article, this one featuring the public debate that is about to take place re NZ Recovery Plans. Sept. 5. Delay in insurance payouts are discussed in this article. Sept. 6. Need for earthquake insurance for individual homes. Sept. 7. The stay or go debate goes on, Sept. 8. This entry was posted in Earthquake, New Zealand by recoverydiva. Bookmark the permalink.